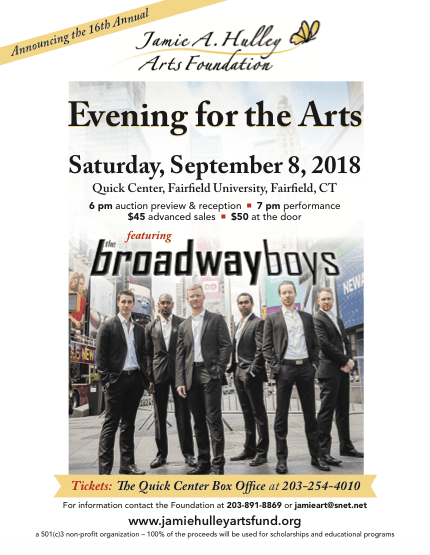 The Broadway Boys are back by popular demand to headline the Jamie Hulley Arts Foundation’s sixteenth annual Evening for the Arts Gala Benefit on Saturday, September 8, at Fairfield University’s Quick Center, 1073 N. Benson Rd. Fairfield. 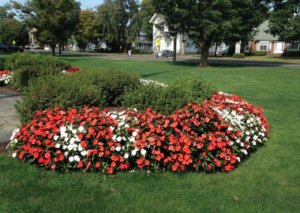 The event benefits the Jamie Hulley Arts Foundation’s scholarship and educational programs. Reception and silent auction preview begin at 6 p.m. – the performance begins at 7 p.m.
Tickets are $45 in advance and $50 at the door.